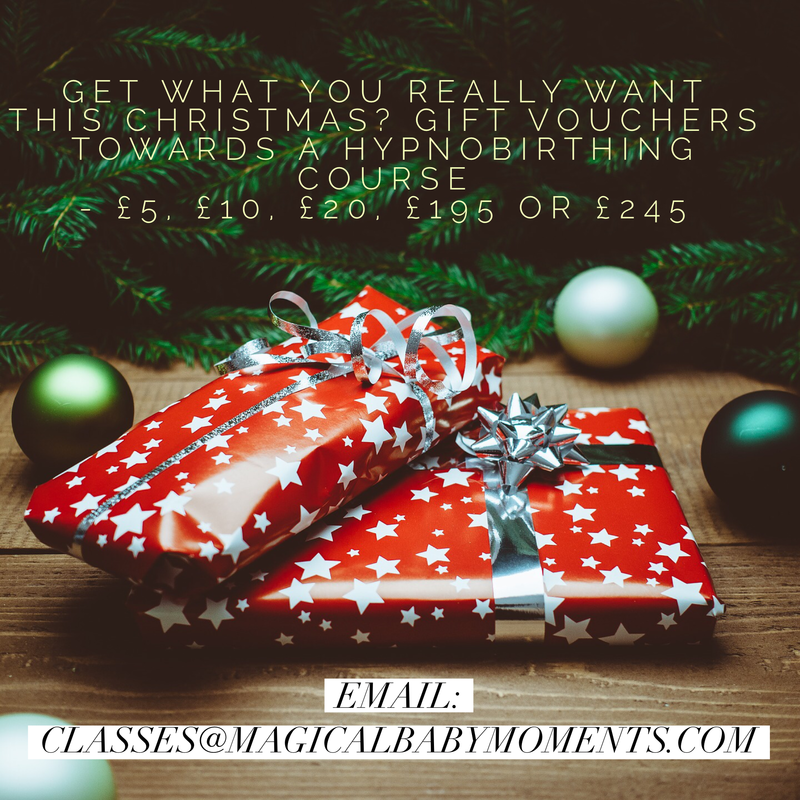 If you’re stuck for ideas this Christmas and you are pregnant (or know if someone who is) and you are able to travel to Romford, Essex, why not get Hypnobirthing vouchers this year. It’s not a case of someone needing to buy you an entire course, we sell vouchers in various amounts, to suit everyone’s budget. With Magical Baby Moments, it’s a full antenatal course that teaches you all aspects of late pregnancy, what to expect during labour, how to handle changes that may occur during labour in order to make the right decisions for you and your baby, as well as a host of tips and techniques to help keep you focused, calm and confident during labour and birth. Find out more about the course modules. When should the couple do the hypnobirthing class? Ideally any time after 20 weeks, but it will work for people in late pregnancy too. The course lasts approximately 10 hours and is usually done over 4 sessions, so it’s simply a question of scheduling it in. Vouchers are available in £5, £10, £20, £195 and £245 amounts. Email classes@magicalbabymoments.com to order yours! Class information in more detail can be found on the website.